A new exhibition at Museum of Brisbane should appeal to lovers of film and fashion alike. Opening tomorrow (November 22), Costumes from the Golden Age of Hollywood offers a glimpse into the glitz and glamour of Hollywood from the 1920‘s to the 1960’s. 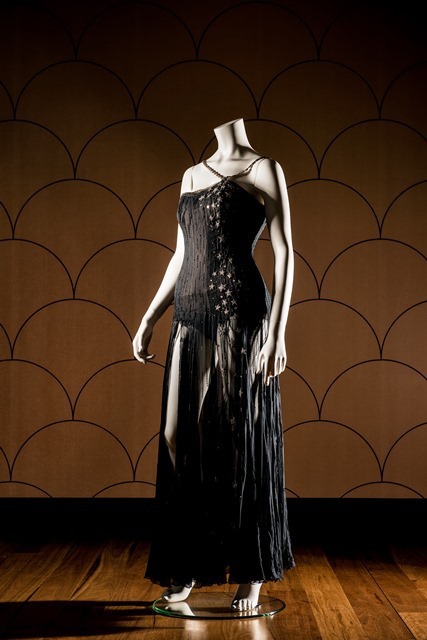 The exhibition features a collection of costumes and props associated with the movie stars and designers of the era. This exhibition will feature costumes that have adorned some of Hollywood’s most famous names, including the likes of Julie Andrews, Fred Astaire, Marlon Brando, Judy Garland, Grace Kelly, Elizabeth Taylor, Lana Turner, Barbra Streisand and many more. The exhibition features over 70 costumes and more than 100 photographs, along with props and other collectables. Drawn from the private collection of Brisbane resident Nicholas Inglis, this is the first time these costumes have been shown in Australia. The Costumes from the Golden Age of Hollywood will be shown exclusively in Brisbane and is absolutely FREE. The Museum of Brisbane is located at Brisbane City Hall and the exhibition is open from 10:00am to 5:00pm every day between November 22 and May 24. For more information about the exhibition and related events, such as curated talks and lectures, visit the Museum of Brisbane website.